Back in December I made a display for some upcycled necklaces I made and planned on selling in my retail stores. After chatting it up with you guys online I found out we need to form a support group for those of us who struggle with retail displays. And after forming said support group we all must vow to share our ideas when we whip up a new display. Hence this blog post. So in the spirit of our newly found group of misfit display makers, here is another easy way to display your jewelry at shows or in stores. I found this lamp at a garage sale over a year ago. I liked the combination of the milk glass and the wood allowed me the possibility to paint it into a little more updated version. But the best part of the lamp was the shade. Yes it’s urgly in it’s current state but have you ever browed Pinterest for vintage lamp shade ideas. It’s a rabbit hole of awesome I would highly recommend. Of course I painted the lamp in Synergy, my favorite turquoise hue. I don’t know why Turq is my go-to display color? When I host paint demos I love to use turquoise because people stop in their tracks to come see what you are painting. People never react like that to black. Or beige. Or even gray. So based on those reactions I revert to turquoise for displays. I peeled off the plastic, latex, hospital glove inspired cover on the shade. I bought three sets of these Blue Hawk S hooks at Lowe’s for about $3 each. I hung them on top of shade and then used the lower hook to hang the necklaces. Okay, this is not the best picture but I just wanted to show how much light this display gives off. The more lighting you can add to your retail space the better. My pet peeve is when I go into a store and the lighting is terrible. You can hang a bunch of pieces on a display like this. I think was able to hang 15 necklaces without it looking overcrowded. Okay, can we just admire a few of my newest pieces? Follow my Display board on Pinterest for more display ideas and I would love to see your favorite go-to display ideas! PS: If you are local and out and about this weekend come see me at Serendipity Market this Saturday from 12-2pm. It’s Wednesday! Time for our Vendor Series! In case you are wondering what that is – every Wednesday I discuss all of the down and dirty details when it comes to being a vendor in an antique mall or market. The BEST way for you to not miss anything in this series is to sign up to have my blog posts delivered to your Inbox. You can do that HERE. I have also set up a private Facebook Group for vendors only – BUT several spammers decided to join the group and posted a bunch of random stuff so I had to change the group to Private. I think I am paranoid because around the same time someone made a fake FB profile using my husband’s picture, starting friending a bunch of our friends, and then sent private FB messages letting people know that they had won money and they needed to wire money to them ( Craigslist African Prince in Prison, anyone?) I have since learned that making a group private also makes it unjoinable. (Is that a word?) So if you would like to join the group and it doesn’t work give it a try in a few days – I have messaged Facebook asking to lift the secret status of the group. Click HERE if you want to try to join the Vendors Only! Facebook Group. UPDATE: I have found a workaround for the Facebook Group. Send me a friend request here and then I will add you to the group. This is a FB Profile I set up just to have the ability to add people to the group – BOO FB for Secret groups not allowing you to add people! Anyway… Please give me a few days to complete your requests. If you missed the previous posts in this series you can find them here. Now that you have decided to take your business to the next level ( or are at least thinking about it!) it’s a good idea to know what to expect to pay for renting a space in a market. All markets are different and bring something to the table. Also, rent will vary by region, as most owners of markets are wanting to cover their rent and expenses. A store in Los Angeles is going to have a much larger rent obligation than one in Oklahoma City, so consider where you are at regionally before making a decision on if rent is too high or too low in your opinion. Let’s take a look at the stores I currently rent from, how much I pay in rent, and why I feel they are a good fit for my business. FYI: I have asked all of the store owners permission to tell you how much I pay in rent so don’t feel awkward because we are talking about money. Since I have a finance background I am pretty transparent when it comes to this subject. Rent: $2.75 sq ft + 10% commission on every item and 3% if the customer pays with a credit card. Why I chose it: The store is located on a busy intersection and is visible and easy to enter from the street. Out of 3 stores I rent from, this one most closely matches my style. This is the type of store you can get lost in for hours with over 100 vendors and styles ranging from Vintage, antique, clothing, old, new, home decor, and gifts. It has an upscale feel and the staff is extremely friendly and the customer service is awesome. In addition to 8% commission + 2.3% if the customer pays with a credit card. Why I chose it: This store carries more new items and less vintage items. The store has great customer service to it’s vendors and the customers. The owner invests in advertising, they always have tons of great events like Girls Night Out, an annual Tent Sale, and VIP Holiday Shopping Nights. There is a cafe and a Tea Room next doors so people can really make a day out of coming to the store. It is not on a main road, but they make it worth the stop. This store does not charge by the square feet. Serendipity actually charges rent by the larger the space you have the cheaper the rent is. Why I chose to rent here: Honestly, I didn’t want to open another location! But this store is located in the town I live in and I was having a hard time not having people pick up paint and wax at my house at all hours of the day! I have a hard time with keeping healthy boundaries, so if someone knocked on my door at 10pm I would let them in and help them chose paint colors while my husband sat annoyed because he was hanging out in his underwear watching football and had to move to the bedroom. Ha. So in an attempt to create healthier work boundaries I rented a space and started out with a small end cap for $75.00/month. 18 months later I have moved booth spaces 3 times to get more space. It has been a great location and I am glad I started out small and worked my way into a larger space. Last year I paid $12,300 in rent and $10,029 in commissions. That is the equivalent of paying $1,860.00 a month in rent to have my own store. That is with no employees, advertising, and me having to manage the store on a daily basis. Is is worth it to me? YES. In an informal poll on our Vendor Only Facebook Group here is an example of what you can expect to pay all over the nation! 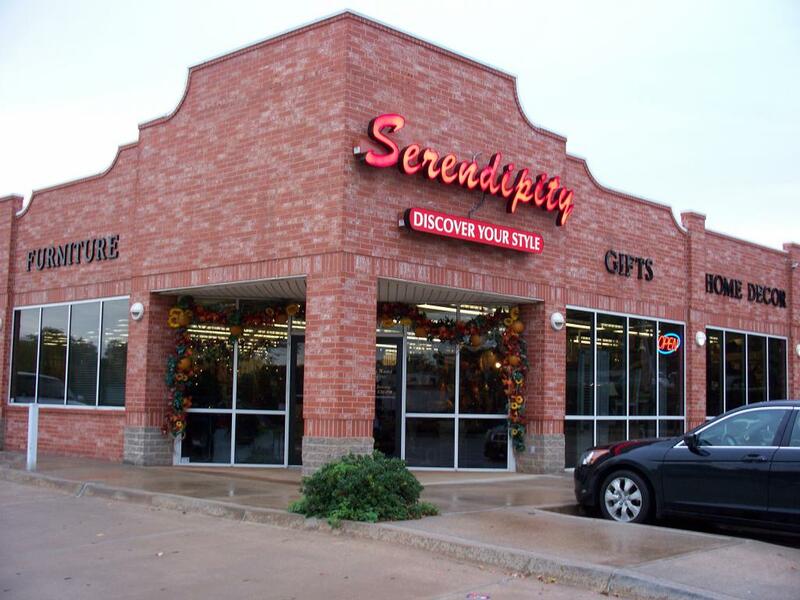 $4.00 per sq ft – McKinney, TX. I should also note that most people said they pay a commission on each item ranging from 5% – 12%. Some people have different feelings on paying a commission. It seems to be a common practice nationally and rarely do you find a store that doesn’t charge one. Some people dislike it because they feel like they are being nickled and dimed to death. And when you look at your monthly statement from your store showing all of your sales, fees, commissions, rent, and sales tax, it can definitely feel that way. I personally feel that a commission is an incentive for the store to stay busy, advertise, and drum up business. If there are no commissions then a store could just collect their rent checks and not put any effort into making the store busy. I personally feel like you get what you pay for when it comes to paying rent at a store. I don’t mind paying a premium if the store has a lot to offer in terms of sales track record, advertising, location, and overall impression of the store. Next week we will talk about how to secret shop for potential stores, what to look for, and how to get in a store that has a long waiting list (because most of the good ones do…) and how to decide where to rent from. What questions do you have about renting space in a store? Join the convo on Facebook and Instagram or leave a comment! It’s Wednesday! Time for our Vendor Series! In case you are wondering what that is – every Wednesday I discuss all of the down and dirty details when it comes to being a vendor in an antique mall or market. The BEST way for you to not miss anything in this series is to sign up to have my blog posts delivered to your Inbox. You can do that HERE. I have also set up a private Facebook Group for vendors only. This is for existing vendors and is a place for us to connect with other vendors across the country to vent, support, and bounce ideas off of each other. It is a great group full of awesomely talented people! If you are a vendor come join us! Click HERE to join the Vendors Only! Facebook Group. I have also set up a private Facebook Group for vendors only – BUT several spammers decided to join the group and posted a bunch of random stuff so I had to change the group to Private. I think I am paranoid because around the same time someone made a fake FB profile using my husband’s picture, starting friending a bunch of our friends, and then sent private FB messages letting people know that they had won money and they needed to wire money to them ( Craigslist African Prince in Prison, anyone?) I have since learned that making a group private also makes it unjoinable. (Is that a word?) So if you would like to join the group and it doesn’t work give it a try in a few days – I have messaged Facebook asking to lift the secret status of the group. Click HERE if you want to try to join the Vendors Only! Facebook Group. Today we are discussing the pros and cons of renting space in an Antique Mall, Vendor Mall, or Market. I have had a great experience running the retail side of my business renting space in vendor malls or markets. I rent space in 3 different stores and each one of them operate differently. They are all unique and have different strengths or reasons why I chose to rent space there. So why do I personally choose to run my business this way? I have a Commercial Banking background and I have seen many retail stores fail (and I have seen many succeed). A retail store, especially when it comes to home decor and furniture, is considered one of the highest risk loans a bank can lend to. I also know how much of a time commitment it is to run your own store. You have to be married to it. Obsessed with it. You have to LOVE it and when you want to divorce it, you still have to show up and turn the lights on each and every day. I’m not saying owning a retail store is a bad thing. I still have a desire to open a paint studio with a retail component someday – but today is not that day. I have a 3.5 year old and I am cookin’ another one in my oven as we speak. It is NOT the season in my life to own a store. Renting space is the ideal situation for me. Here are some of the Pros and Cons to consider when deciding if renting space in a Market is right for you. You don’t have to work there. There are no set hours for you to clock in and clock out. You can have a flexible schedule and bring new inventory or restage at a time that works for you. I have heard of a few markets requiring one Saturday a month or a certain amount of hours that need to be worked monthly. I don’t think this is the norm, is in exchange for reduced rent, or are part of a co-op where the vendors have some sort of ownership in the store. It varies from different regions but most vendors would say they do not have any set hours they are required to work in the store. No Sales Tax Paperwork: The market you rent space from should take care of the sales tax paperwork. Sales Tax is collected differently in each state, but since the store is collecting the cash from the customers they are most likely responsible for filing the monthly sales tax on the items sold in the store. You will still have to file an annual Federal Tax Return (hello April 15th!). PS: Working in banking I can say April 15th is one of the busiest days of the year for liquor stores. Ha! The Foot Traffic. The amount of people walking through the doors in a large store or a market is much greater than having a stand alone store. Plus, if there are 100 vendors renting suites in the store then there are 100 vendors marketing the store on their Facebook Pages, social media, telling their friends, family, and neighbors. That’s a lot of people with the same common goal. Someone Else Get to Handles the Headaches. If a pipe bursts in the store, you aren’t the one who has to clean it up and call the insurance company. You don’t have to deal with the alarm company, the trash bill, the electric bill, the credit card processing, making sure a busted window get repaired, and all of the other fun duties that come with owning a store. It’s Affordable: Usually the rent and fees are less than it would be for you to rent a retail store. You will probably have less space than you would renting an entire store but your overhead is much less as well. You Are Not In Control: Most likely any market you rent from will not run their store the same way you would run your own store. Sometimes their taste, style, or budget won’t always line up with what you would envision for marketing, displays, sales flyers, and advertising. I really try to stay out of giving my two cents about any of the stores I rent from marketing unless they ask for my opinion. You aren’t driving the train so you gotta be okay with how the store represents their brand. Customer Service: Sometimes you will get complaints about customer service. This has only happened to me a few times, but it can be unnerving when you hear feedback that your store wasn’t treating a customer the way you would. Have an open line of communication with the owner or the manager. Give them the feedback, not to chastise them or get an employee in trouble, but to help them do better. A good store owner will want to know if there is an issue. On the other hand, when you get positive feedback about the service from your vendor mall, make sure you give them that feedback as well. They deserve to know they are doing a great job! The Cost: I know I said renting space in an antique store is an affordable way to have a retail business, but the fees can add up. For me personally, the fees and rent are worth every penny. But to others, they might gasp when they see how much is taken out of their checks each month. In addition to rent, a store will usually take out a percentage of each transaction plus an additional percentage if the item is paid for with a credit card. I will talk about fees more in depth next week, but this can be a pro or a con, depending on your comfort level. Organization: There have been times when I walked into my suite at one of my locations and there were open coke cans, trash on the floor, and a knocked over display in my area. It looked like a homeless shelter. I don’t mind if my space is a little messy because it means people have been shopping there – but when a store has 100 or more vendors, it can be hard for the store’s employees to keep an eye on every single space. Visit your space often to make sure it’s picked up. I like to visit my stores on Thursdays, before the weekend rush, so it looks it’s best during the busiest sales days. Renting space in someone else’s store can be a great way to dip your toe in the retail pond. It’s also a good way to gauge if you really want to open your own stand alone store. Renting also provides a tremendous amount of flexibility that store ownership does not afford. But to ENJOY working in markets or vendor malls YOU have to be flexible as well. Question: If you are a vendor what do you feel are the pros and cons to renting space? Have you had a good experience or was it a rocky road? And if you are considering renting space in a store – what is holding you back? Join the convo by leaving a comment or joining us on Facebook and Instagram! Next week I will talk about finding the right market for your items, what to look for when finding your retail home, and what to expect to pay in fees and rent. YES- I am going to give you all the details on what I personally pay each of my stores. I’m not skeered. Don’t miss it and subscribe to get our posts delivered daily. Every Wednesday, for as long as it takes me to say what I have to say on the topic, we are going to discuss all of the down and dirty details when it comes to being a vendor in an antique mall or multi-vendor mall. The BEST way for you to not miss anything in this series is to sign up to have our blog posts delivered to your Inbox. You can do that HERE. I have also set up a private Facebook Group for vendors only. This is for existing vendors and a place for us to connect with other vendors across the country to vent, support, and bounce ideas off of each other. If you are a vendor come join us! Click HERE to join the Vendors Only! Facebook Group. Today I am going to explain to you how I started selling in Antique Malls and when I decided to turn my hobby into a business. 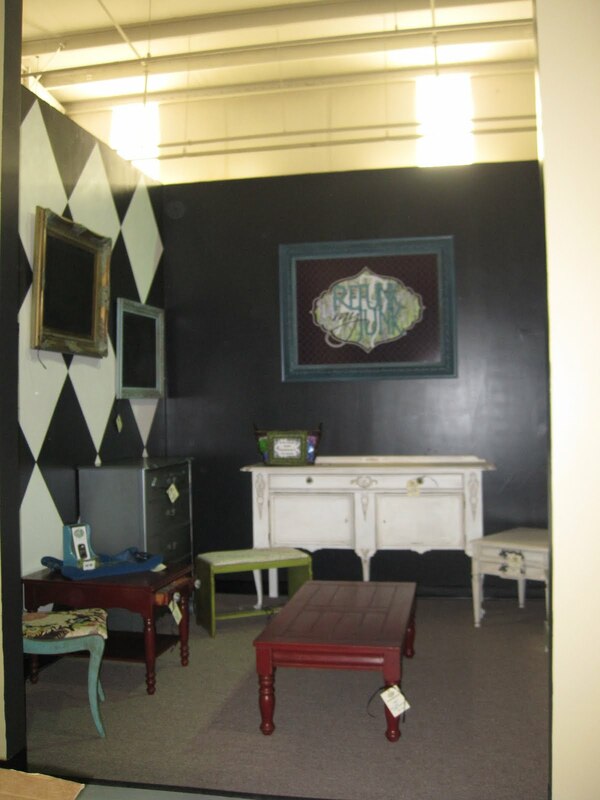 How to know if selling in an Antique Mall is right for you and if you are ready to take your business to the masses. Warning: This post has lots of blurry photos in bad lighting from the early days. Please don’t judge. I had to start somewhere and although I would like to erase them from my blog and pretend I always knew what I was doing, that is just not the case! In 2010 I started selling painted furniture on Craigslist after I had painted all of the furniture in my home. I loved going to Estate Sales and Garage Sales and transforming pieces of ugly furniture into a gorgeous, custom pieces. Since I had painted almost everything in my home and I wanted to keep painting I started selling pieces on Craigslist. It was great because I had a full-time job and could work on pieces of furniture at my own pace. Some months I sold 3 pieces of furniture and other months I sold none, just depending on how much time I had to hunt for furniture, haul it home, repair it, and paint it. After doing this for over a year I met a woman who was opening a vendor mall and offered me free rent for 6 months to open a booth there. I had gotten burned out with dealing with people on Craigslist and I thought this might be an answer to a prayer. Craigslist could be frustrating because sometimes people no-showed, were constantly trying to buy my furniture for ridiculously low prices, and would get mad if I sold it to someone who showed up and paid me cash after they had expressed an interest. Being in a vendor mall allowed the furniture to be available 6-days each week and I was able to minimize the time it took dealing with inquiries from Craigslist. Plus, since it was a new vendor mall I was hoping the foot traffic would be slow, enabling me to learn to ropes of selling in a retail store at a manageable pace. I had no retail experience to speak of, except working at Victoria’s Secret over Christmas one year, so I was nervous to try selling in a retail space. My hopes were right. My first month in the vendor mall my check was $18.40. I had sold 1 hand painted sign. Now, I think the store was only open 2 weeks at that point but I was a little discouraged. I already had a blog following, and a Facebook Page, and listings on Craigslist. I was sure it would have been busier but I was thankful I didn’t have to pay rent. The second month my check was $738.32 ($550.00 was from a workshop I hosted at the store). I stayed in the store for 6 months until it closed and then I moved to an established store with more foot traffic. And guess what? I was ready. I had learned so much about selling in a multi-vendor market in those 6 months. Today I am in 3 different vendor markets and rely on it for my full-time income, in addition to teaching workshops and blogging. If I hadn’t taken those baby steps in the beginning then I’m not sure I would be able to do what I love today! Here are things to consider if you want to sell your items in a retail store for the first time or if you are currently in a vendor mall and are not having success. Do not jump in without having any experience or customer feedback on what you sell. An established and busy market will most likely not let a new business owner into their store. So gain experience before you go to bat for the big leagues. A great way to get experience under your belt is to sell on Craigslist like I did or if you sell smaller items consider opening an Etsy Shop. This is an excellent way to get feedback about your items, see what sells, and create a small customer base before you jump into selling in retail. Doing craft shows or Antique Fairs is also a great way to see if your items are marketable. If you don’t think you are ready to sell at a fair start out at a small one, like at a church craft show or a small flea market. 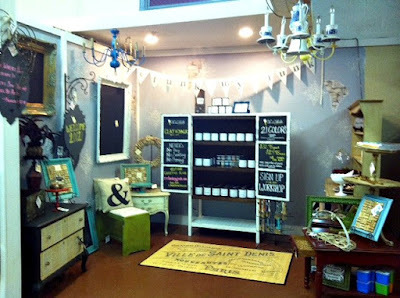 If you have a friend in the business who does craft shows, offer to work with them at a fair and see if they will allow you to sell your items in their booth at the fair. You will gain invaluable experience and build your confidence. When you rent space at a vendor-mall you will most likely not work there, so you rarely get to hear what your potential customers are saying. Finding out what the public’s reaction is to your items can be invaluable. 4. See if you can consign. I have allowed people on occasion (if I really love their products, it fits my style, and I think they are extremely talented) to sell their furniture or decor in my booth spaces on consignment. This helps me in keeping up with the volume of maintaining inventory for 3 booths while allowing the consignor to work at a slower pace and not have the commitment of paying monthly rent. Typically you can expect to pay about 30% – 40% of the sale price to the booth or store owner when you consign an item. This could be done in a one-owner boutique or in a booth with the booth owner. For me, the key to running a successful retail business in a competitive handmade market was to start small and gain experience over time. Question: If you are thinking about opening a booth what is holding you back? Have you taken the proper steps to success? If you are an existing vendor: what did you do in the beginning to set yourself up for success? Did you jump right in or move at a snail’s pace like me? What advice do you have for a newbie? If you are looking for information on how to register your business name and other things to think about when starting a new business check out my 10 Steps to Starting a New Business. You can also find out how I quit my full-time job as a Vice President at a corporate bank to Refunk Junk full time here. Join the convo on Facebook, Twitter, and Instagram!